We only know how to do things one way and that's the right way. 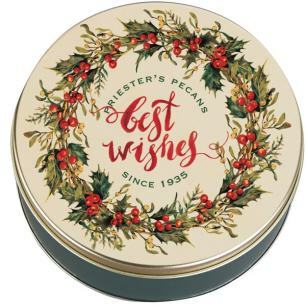 That's why this privately commissioned "Pecan Grove" gift tin is filled with only the finest and freshest crop of Mammoth Pecan Halves, all hand-selected to ensure you're getting the best of the best. Slowly roasted to a golden perfection with the right amount of salt. We only know how to do things one way and that's the right way. 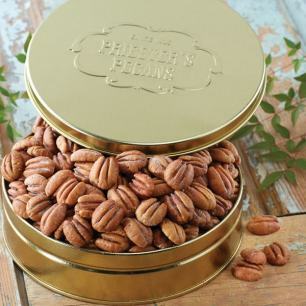 Our gift tin is filled with only the finest and freshest crop of Mammoth Pecan Halves, all hand-selected to ensure you're getting the best of the best. 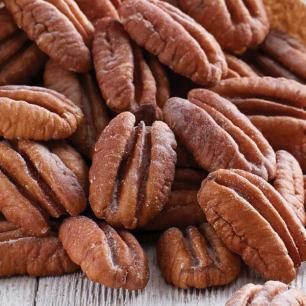 Slowly roasted to a golden perfection with the right amount of salt. Please check back in the fall for this item. I love the pecan's I've ordered from Priester's. 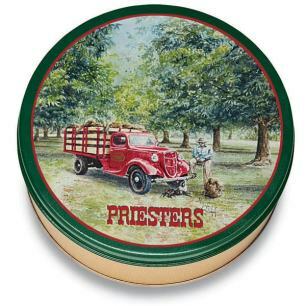 They are always fresh and quickly delivered. Really good, hard to stop eating them.